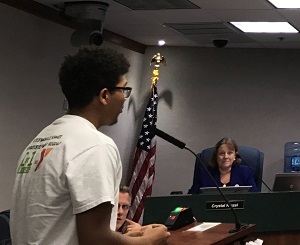 On July 11th, 2017, the Taste of Immokalee Team got up earlier to travel down to the Board of County Commissioners meeting. The Taste of Immokalee team had reserved seating in the room and they filed in. They were all bubbling with excitement while exchanging glances back and forth. Defarris Moore and Myra Jaimes were selected and voted to be the speakers for the huge voice that is Taste of Immokalee. It was an amazing opportunity for the Taste of Immokalee kids. The team sat through the necessary readjustments that the Commissioners needed to make. Finally, the time came for public comments. John Slusar stood up and walked to the podium with a proud smile spread across his face. He started talking about the mission of Taste of Immokalee. The Commissioners watched from their table as John spoke about TOI with pride. John introduced Defarris as he stood up and walked up to the podium. Defarris started his speech with talking about how â€œTaste of Immokalee has introduced me to my new home.â€ Defarris Moore was an amazing representation of the heart of TOI. Next up was Myra Jaimes, a Taste of Immokalee employee for the last three years. Myra introduces herself as the Immokalee representative. She lives in Immokalee and knows the environment. The beginning of her speech had a powerful message: â€œAs for their children, instead of following the crops and seasons, we wanted to follow their dreams of making life better for our family.â€ Myra speaks passionately about what this program means for her. She says that this program offers so much for their home, Immokalee. She finishes her speech with a very heart-felt phrase. Her grandma has a saying that Myra remembers. The saying goes â€œNo dejes para manana lo que puedas hacer hoy.â€ This saying translated into English is â€œDonâ€™t wait for tomorrow to do something you can do today.â€ Taste of Immokalee is all about opportunities and learning and growing. 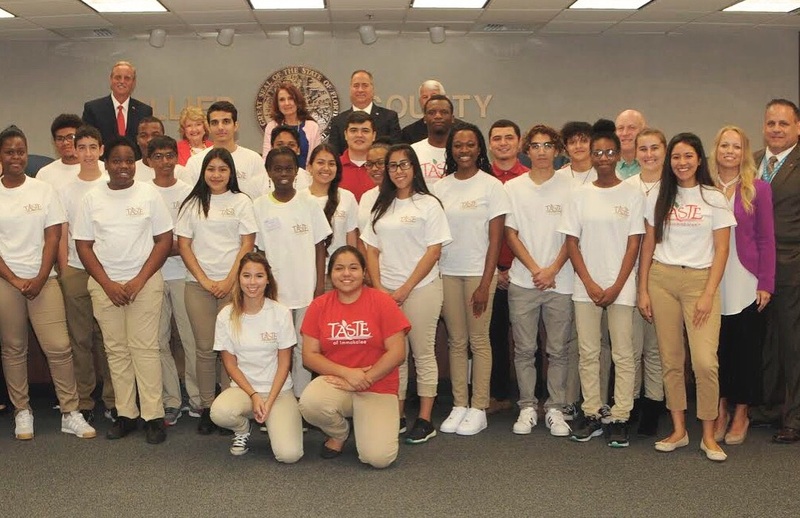 The team that works for Taste of Immokalee is an amazing group of kids and adults who strive to help. The Board of County Commissioners saw this on their website and in their hearts. Taste of Immokalee gives a special thank you to Commissioner Penny Taylor or District 4 for this amazing opportunity. 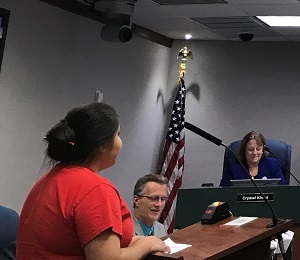 She came to the YMCA during one of their work days and scheduled them to appear in front of the Board of County Commissioners. 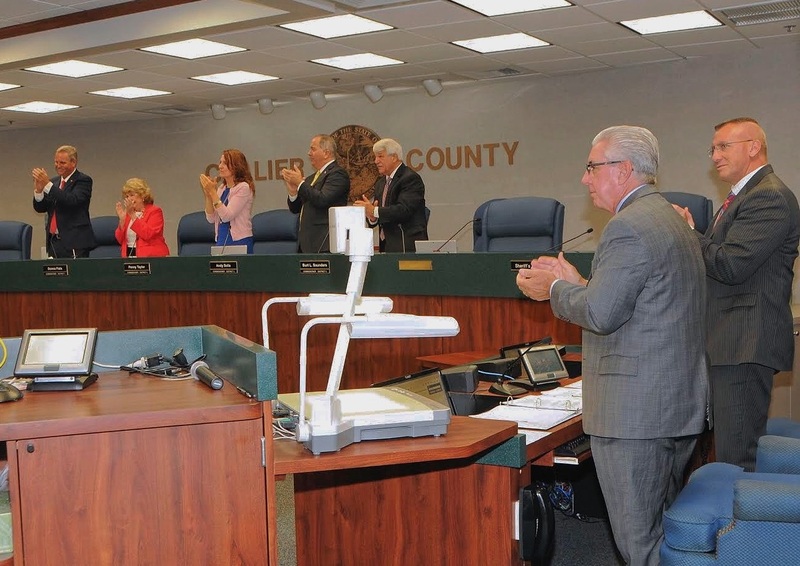 Thanks to the Board of County Commissioners, we now have a bigger voice to be heard.